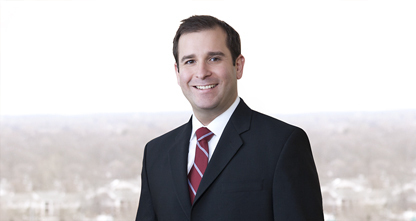 Paul Rodriguez is a registered patent attorney in the firm’s metro Detroit office. He assists individuals, small businesses, and Fortune 500 companies in building and managing IP portfolios and crafts strategies that enable them to work toward their unique goals. Paul has extensive experience in many areas of IP law, with a focus on patent and trademark matters. He is highly experienced in all facets of domestic and international patent preparation and prosecution relating to a wide range of mechanical and electrical technology areas, with particular emphasis on industries involving automobiles, turbine engines, aircraft electrical and mechanical systems, oil and gas, commercial and transport refrigeration systems, elevator systems, home appliances, and office furniture. Additionally, he counsels clients by providing novelty, infringement, freedom-to-operate and invalidity opinions. Paul also has litigation experience involving both patent and trademark cases.